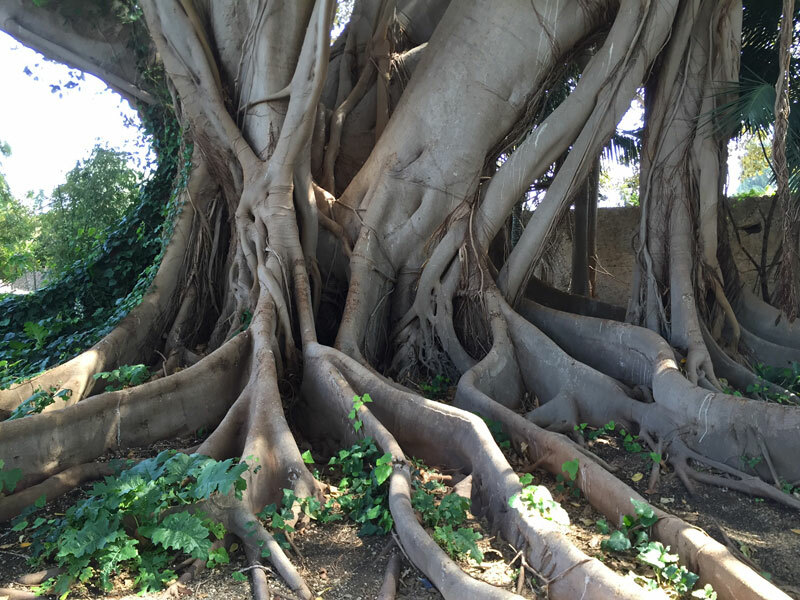 Join us for an exciting trip that includes all the highlights of Sicily’s diverse East Coast: from Mount Etna, Europe’s highest volcano, to Noto, the capital of Baroque, and the heart of Greek civilisation on the magic island of Ortigia. Discover the changing landscape and taste the incomparable local flavours, for a truly unforgettable tour. 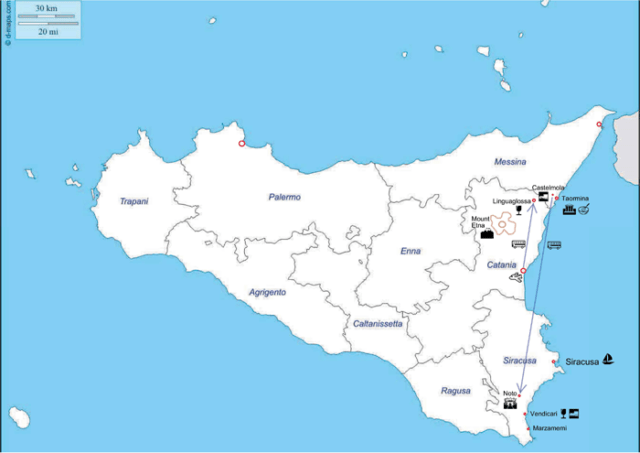 Land at Catania airport and reach independently your hotel in Catania (very efficient bus connections will get you to a bus stop near the hotel in less than half an hour). Enjoy the rest of the day strolling around this very lively city and port just below the impressive Mount Etna and have a first taste of Sicilian food in one of the many excellent restaurants in town. 10 am – Meet at Catania airport (or pick-up at hotel) and short drive to Mount Etna. Stop for a welcome drink at a local winery, located in Linguaglossa. Visit of the vineyards with a family member, plus tasting of their wines and olive oil. Get settled in at your hotel, dinner and overnight stay. Today we’ll get some picnic supplies and hike for a few hours starting from the North access to Mount Etna, walking through lava flows dating back from different periods, observing how the landscape changes and learning a few facts about this amazing volcano, Europe’s highest. Back to the hotel for a cooking class. Dinner and overnight stay. Morning walk up an abandoned secondary road and then along the ridge of the coastal hills, with spectacular views over Taormina to the North and the whole Eastern coast to the south. Picnic along the way, with the possibility of stopping for a snack/lunch at a ricotta-maker. Back to the hotel to relax (or optional afternoon hike around the Alcantara valley with its geometric volcanic formations, which remain partly mysterious to this day) and have dinner. Morning trip to the world-known town of Taormina. Walk up to Castelmola, which will reward us with a spectacular view over the Northern part of Sicily’s East coast. Lunch on your own and time to sightsee Taormina. Afternoon van ride to Noto and check-in at the hotel, located at the centre of this “jewel of Baroque”, as the town is called. Dinner on your own in one of the numerous local restaurants. Morning walk through the peaceful natural reserve of Vendicari, a shelter for birds and rare local species. 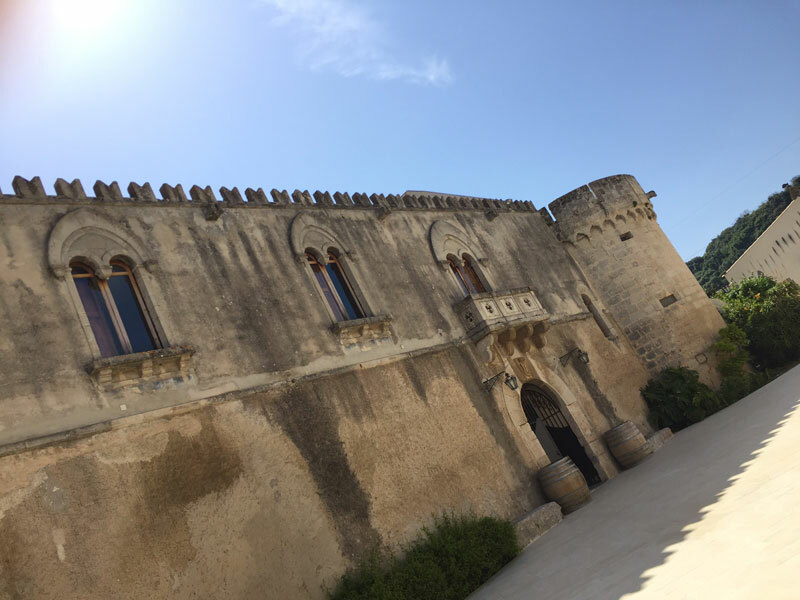 Visit to a local winery, located within the facilities where all the wine produced along this part of the coast used to be collected and stored, then lunch on your own and time to enjoy the tiny and very picturesque fishermen’s village of Marzamemi. After lunch, van ride back to Noto and some more free time to explore this marvellous town. Dinner on your own. 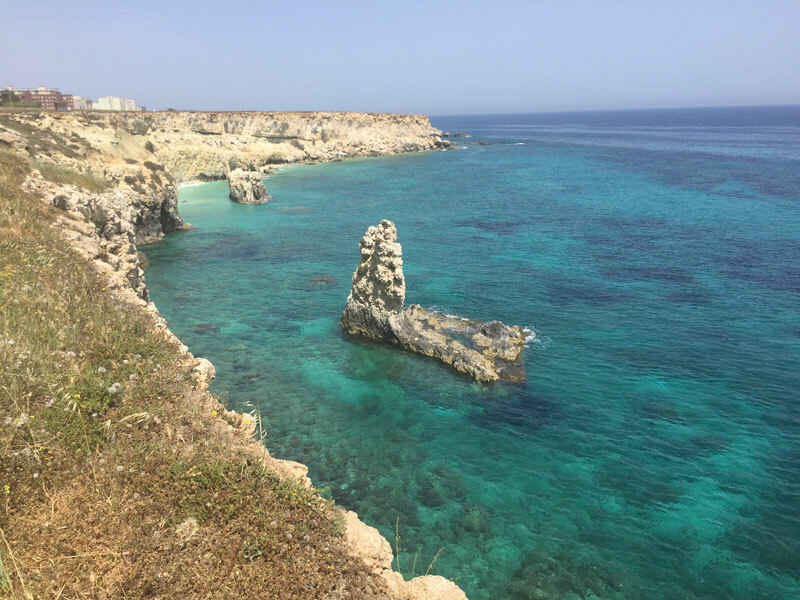 Hike through the impressive natural canyons of Noto antica and stop there for a picnic, or have lunch (not included) at a very good local restaurant. Drive to Siracusa, the most important outpost of Greek civilisation in Sicily and still one of the most charming areas on the island. Check-in at the hotel in the historical centre of Ortigia and devote the afternoon to sightseeing Siracusa and its surroundings (Cathedral, Aretusa Fountain, Jewish bath, etc. on the island of Ortigia, and the Greek theatre, the catacombs and quarries just off the island). Optional guided tour available. Dinner on your own. Morning walk through the colourful market where farmers sell directly their delicious products. This is a great time to stock up with small culinary gifts to take home and to buy picnic supplies for our optional walk, which will take us through the amazing Necropolises of Pantalica, where whole mountain faces are literally pierced with thousands of tombs dating back to the 11th-9th century b.C. 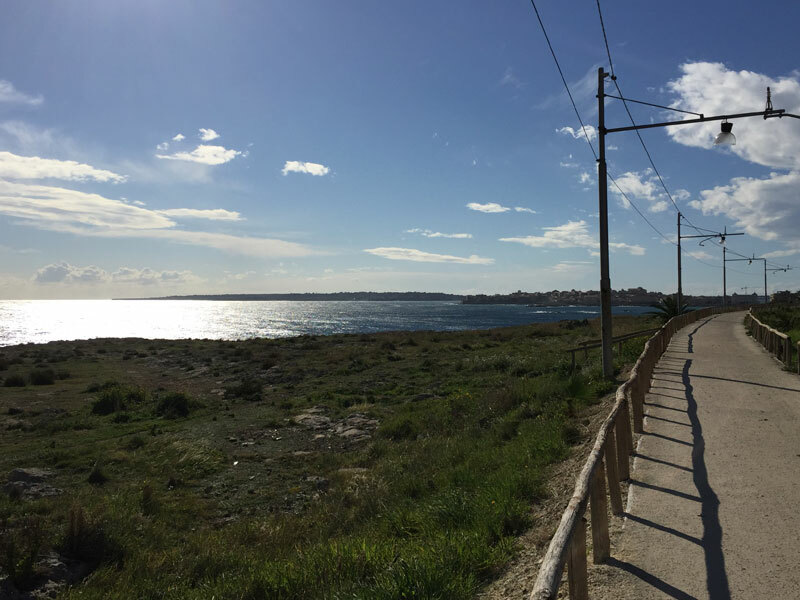 If you prefer to stay on the island, there is much more sightseeing to do, or you may enjoy a boat ride around Ortigia and along the caves, with the possibility of swimming in very special areas along the coast. Farewell dinner together in Ortigia in a typical local restaurant. € 1.980,00 based on 2 participants staying a double room. € 1.445,00 based on 4 participants staying a double room. € 1.170,00 based on 6 participants staying a double room. € 1.120,00 based on 6 participants staying a double room. Expert guide for the whole tour. Medical and luggage insurance, city taxes, drinks, entrance fees, lunches and 3 dinners, tips, personal extras, anything else not listed under the heading “what is included” (e.g. stop at the ricotta maker, guided tour of Siracusa, additional winery visits, etc. ).